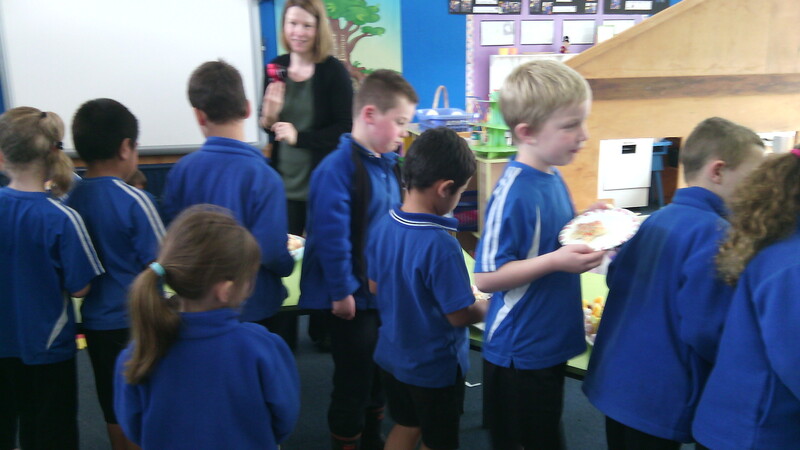 The juniors got together on Friday for a shared lunch to celebrate Matarki. 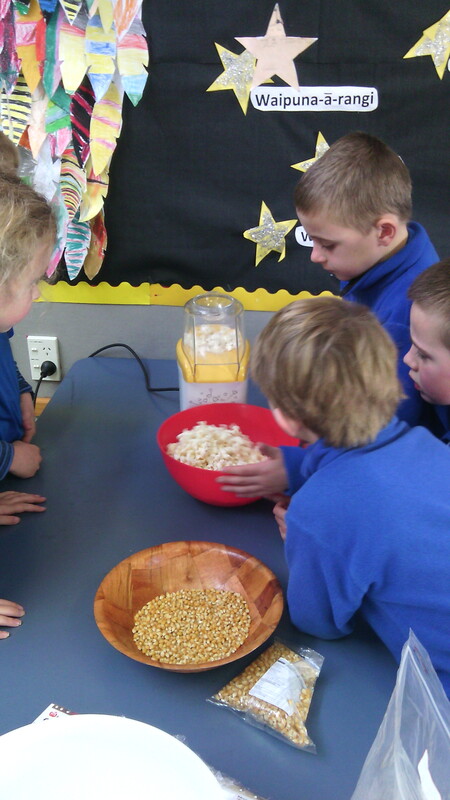 Uenuku made popcorn and enjoyed watching it pop out of the popcorn maker. 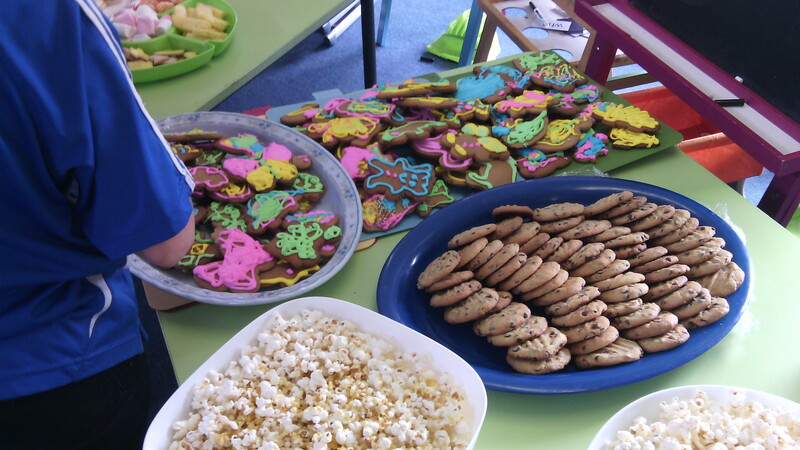 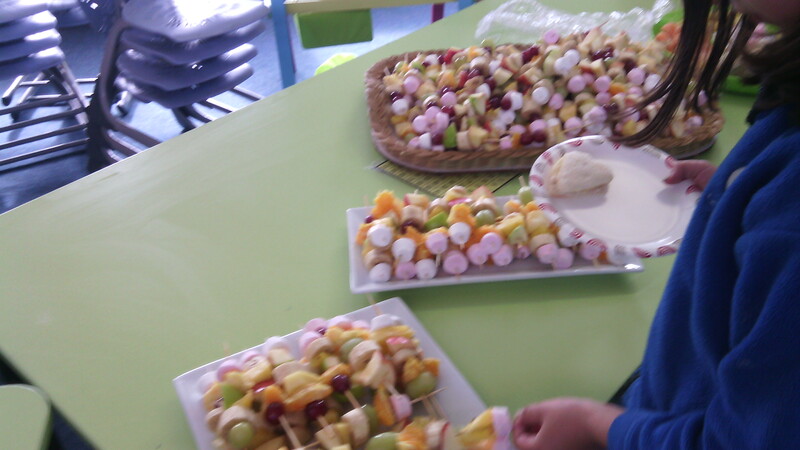 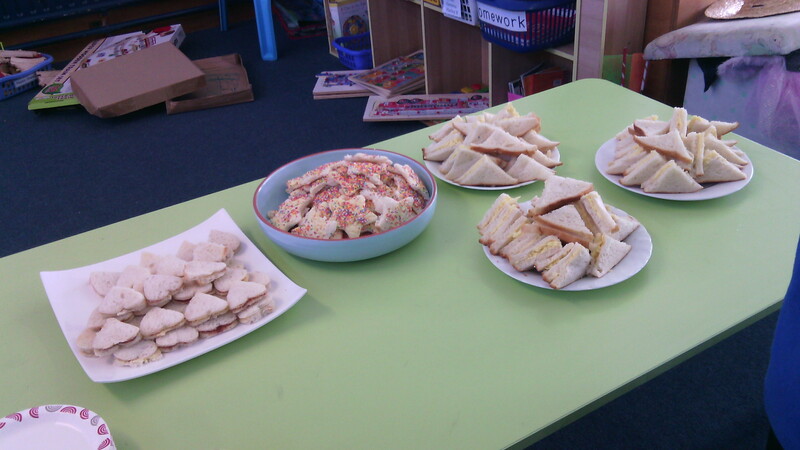 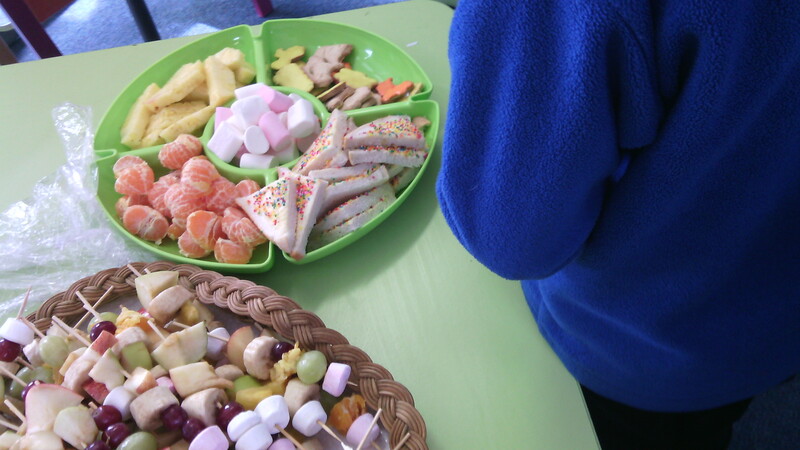 Te Ra made delicious fruit kebabs, Parekereke made tasty cookies and Te Whenua made a selection of yummy sandwiches. 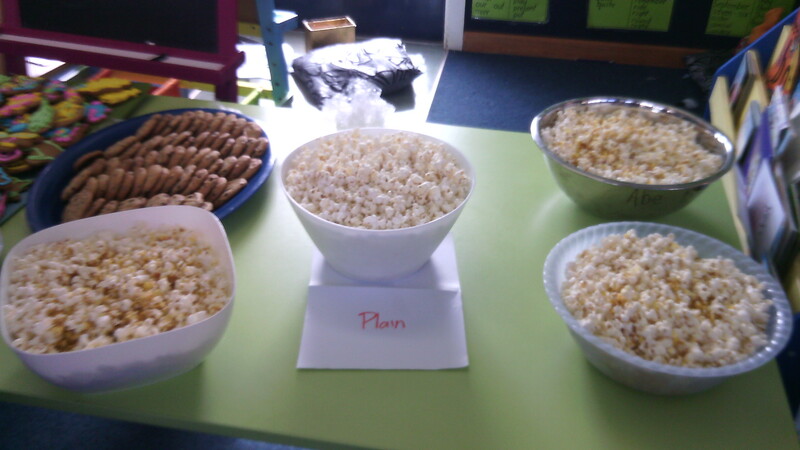 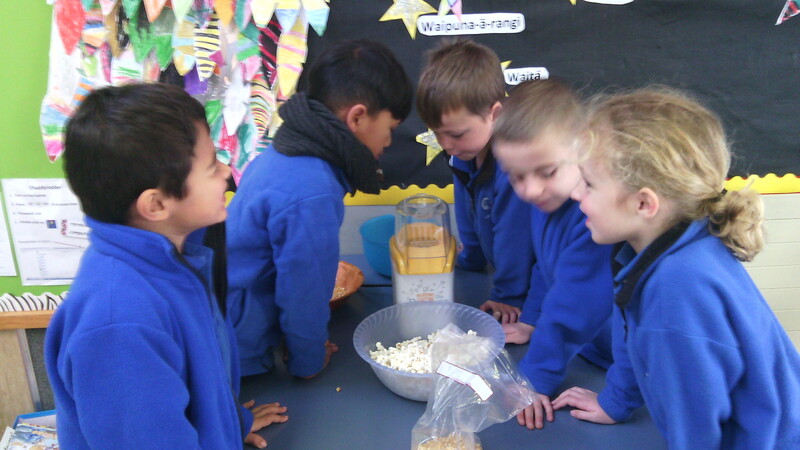 A huge thank you to parents who helped by sending a gold coin and for those who helped with bowls and popcorn kernels! 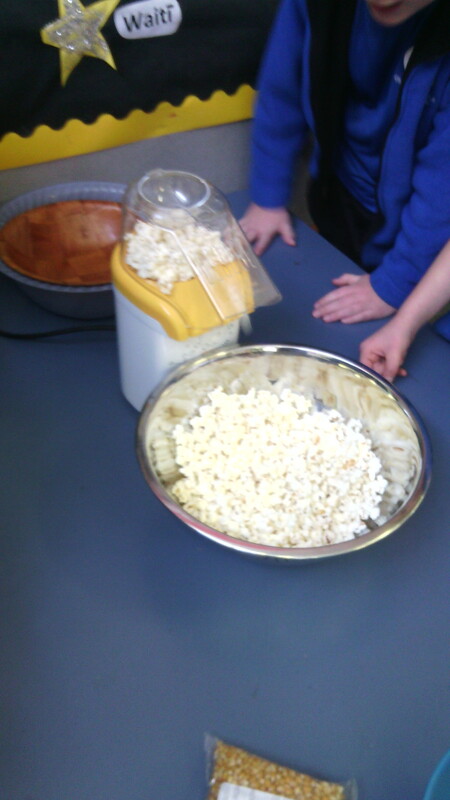 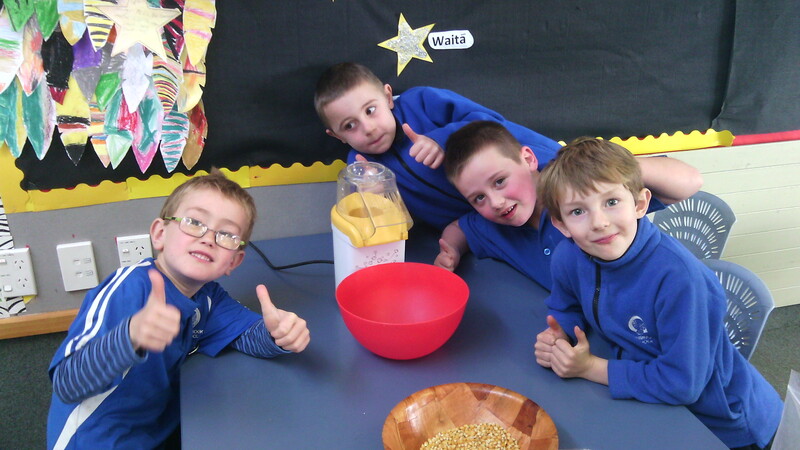 The class loved having the smell of popcorn and watching the popcorn “erupt like a volcano” out of the popcorn maker! 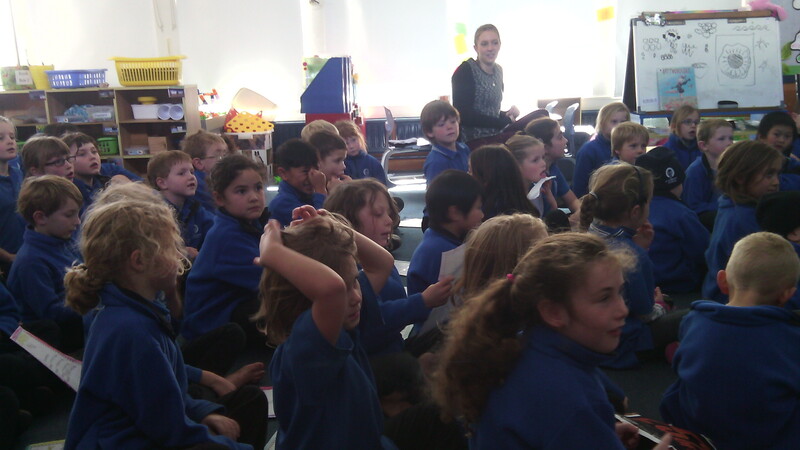 Each class shared their learning. 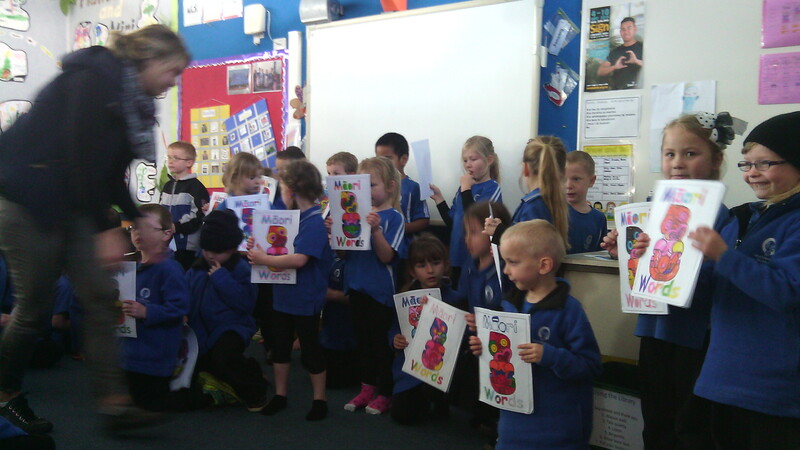 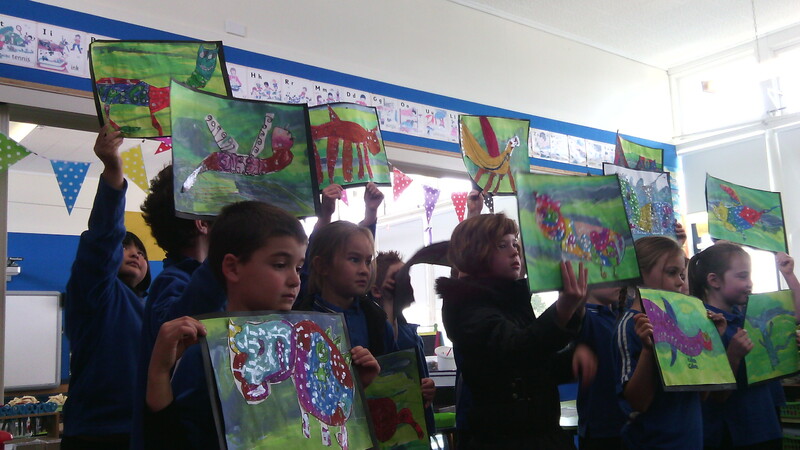 Uenuku and Te Ra shared their mihi’s (introducing themselves in Te Reo), Parekereke shared the new Te Reo words they had learnt and Te Whenua showed everyone their Taniwha art.